Several northern police officers shared gifts to the children from the Rehabilitation Center in Tirnovova village, Donduseni district. They took clothes, shoes, supplies, toys and food. Pics also had the opportunity to participate in sports competitions organized by law enforcement. INP employees mobilized to bring smiles to children on International Kindliness Day. Children enjoyed the gifts they received, but especially because the policemen visited and made their day more beautiful: "It's a special day, it's all very beautiful, we like the surprises we've got. Our guests bring footwear, clothing and sweets". "We are happy and kind because they thought about us and I hope that especially the little ones will be happy with the gifts that brought them, as well", said a staff member from the Center of Rehabilitation in the village of Tirnova. "It's a very exciting day for kids, they got sweets, they arere kids who need it", said an INP employee. Policemen organized more activities for children. The big ones competed with the bikes. Subsequently, children dressed with police uniforms. Others did not hesitate to test patrol inspectors. Most children at the Rehabilitation Center come from socially vulnerable families. They benefit from treatment and study. The administration of the institution says the police gesture is worthy of admiration. "We are pleased and we say a great thank you to those policemen who come to us not for the first time and come in contact with these children, organize them different games, bring different gifts, give them a support and first of all show them the role today's policeman in our society", said Veronica Sprancenatu, deputy head of the Children's Rehabilitation Center. Patrol officers from across the country were involved in the charity action. 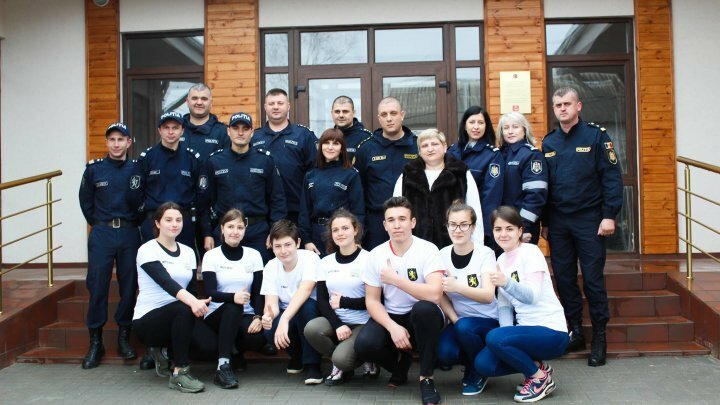 "These gifts come exclusively from patrol policemen, the toys we collected from home from our children, and I came with a full heart and gifts for them", said Uliana Catana, INP's press officer, Balti. For the gifts they received, the children rewarded the guests with poems. The patrol inspectors from Balti donated blood, and those in the south of the country went to an asylum for old people. Good A Day is organized for the fifth consecutive year in the Republic of Moldova. More than three thousand volunteers participated in charity in 37 localities.